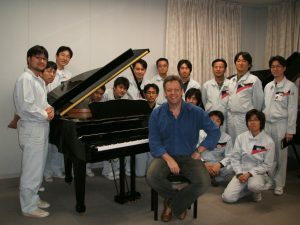 John has been a professional musician for over 30 years having graduated from the Royal Academy of Music in London in 1987. In the same year he entered and won the Wavendon Allmusic Student Award. (The Allmusic concept was the brainchild of Sir John Dankworth and Dame Cleo Laine). His skill set ranges from pianist, keyboard player and musical director to composer, arranger and programmer. Although trained classically, he is comfortable with many musical genres including Pop, Rock and Jazz. 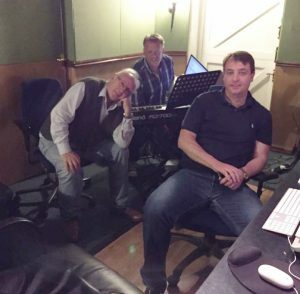 He has worked with many artists from the Rock and Pop world including Kylie Minogue, Jason Donovan, Nik Kershaw and Howard Jones to name but a few. 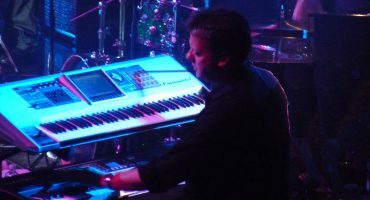 In the last few years he has toured with Rick Astley both as his MD and keyboard player and was involved in the promotion of the 80s pop icon’s comeback album, ’50′, last year. He has also played for several high profile dance shows featuring professional dancers from BBC’s Strictly Come Dancing series. 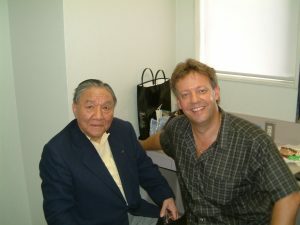 John has had a long term working relationship with Roland (the Japanese electronic instrument manufacturer) since 1988 having travelled the world as a consultant, clinician and music educator. He has also been involved with product development and written many demo songs for these instruments. His music programming skills in recording, sequencing and music notation have been put to full use in the studio where he has worked on numerous projects for many international publishers, producers and musicians. Having moved in 2016, he now lives close to Milton Keynes with his partner and son.